Why Silence is Jewish and very good for us! At the end of last year, as Chanukah finished, I travelled 7,747 miles not to talk. I attended a silent meditative retreat at the foot of a mountain. Actually, in the shadow of the clouds surrounded by jungle vegetation and an enormous amount of rain on the island of Bali. For someone who loves to talk, it was surprisingly nourishing. 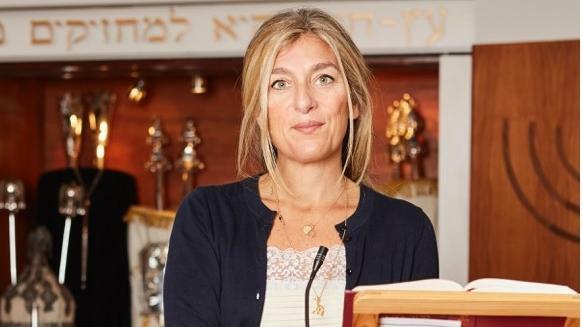 I am a congregational rabbi for a North London Liberal synagogue. I didn’t leave my job and journey into the unknown as a mid-life crisis. I was encouraged, even enabled, by my synagogue to do such a thing. I have just taken a sabbatical. My congregation, along with many other Reform and Liberal synagogues since the 1980s offer their rabbis sabbaticals every seven years, a month for every year of service for rest and renewal. A Shabbat of Rest, part of a year of shmittah. “Six years you may sow your field and six years you may prune your vineyard and gather in the yield. But in the seventh year the land shall have a sabbath of complete rest, a sabbath of the Eternal” (Leviticus 25:3-4). While the prudence and practicalities of the full agricultural sabbatical in Israel remain up for discussion for many farmers, the spiritual notion of rest captured the heart and intention of synagogue structures. Academia offers such opportunities usually tied to expected publications. Rabbis are expected to study, reflect and expand. And return, I assumed, refreshed and ready for the community again. And this is just what I did. Beginning in silence. I travelled far because I wanted to use my time to learn something new. The retreat without a guru or a doctrine allowed me to take my own into the silence. And I did. Arriving in the dark and the rain, I was given just a torch and umbrella, both of which proved essential. I found my way to the dormitory and my mosquito-netted bed that would be my home for a week. Woken at 5.45 each morning, the days had their own rhythm — around three hours of meditation and four of yoga. Both of which were challenging. And around these quiet activities I also ate, walked and existed in silence. It was totally new for me. The jungle paths where we were told to take sticks to alert the spiders and snakes. The evening walks through the paddy fields, where you had to walk barefoot through the mud. We had a coconut shell each as bowl and filled it three times daily with rice and vegetables, or homemade granola and pine syrup that one of the cooks harvested every morning fresh by climbing a palm tree to “bleed it” for us. It was a no-waste, vegan dwelling and we had to carry all rubbish away with us as guests. The green vases of edible plants as well as all other foods were grown there and, pleasingly, the staff were paid a living wage. I read several Jews while I was there. The psychologist Eric Fromm, the novelist Cynthia Ozick and Rabbi Art’s Green’s biography of Rabbi Nachman of Bratzlav, who all seemed to appreciate being quiet. I never spoke to a soul. I greeted fellow guests by smiling. That was all I could do. I wasn’t able to charm or befriend or share my story or listen to theirs. Everything I did was without words. It was the fullest time I can remember. Elie Wiesel was once asked, “Is there such a thing as a silence in Judaism?” He replied: “Judaism is full of silences … but we don’t talk about them.” How true. Used to preaching, teaching and speaking frequently, I had wanted a quieter time like Barak Obama insisting, on his retirement, that he wanted a break from “hearing his own darn voice quite so much”. Granted, a break from North London congregational life is not quite the same as relinquishing the duties of the President of the United States, but there was an indisputable link for me. I didn’t need Proverbs to tell me “Closing one’s lips makes a person wise” (10:19). But it was good to be reminded. I am naturally an extrovert. Many of us are who work in community. I like nothing more than to be around people. If not an actor manqué, I certainly love the challenge of making people glad they came to synagogue. When I fail, it cuts me deeply. As I have grown older, quiet has become more important for me. Perhaps it’s recovery or renewal time. Either way, it feels very Jewish right now. Pirkei Avot (Ethics of the Fathers) mentions it often, teaching in the name of Rabbi Shimon Ben Gamliel, “All my days I grew up among wise people, and I have found nothing greater for the body than silence”(1:17).